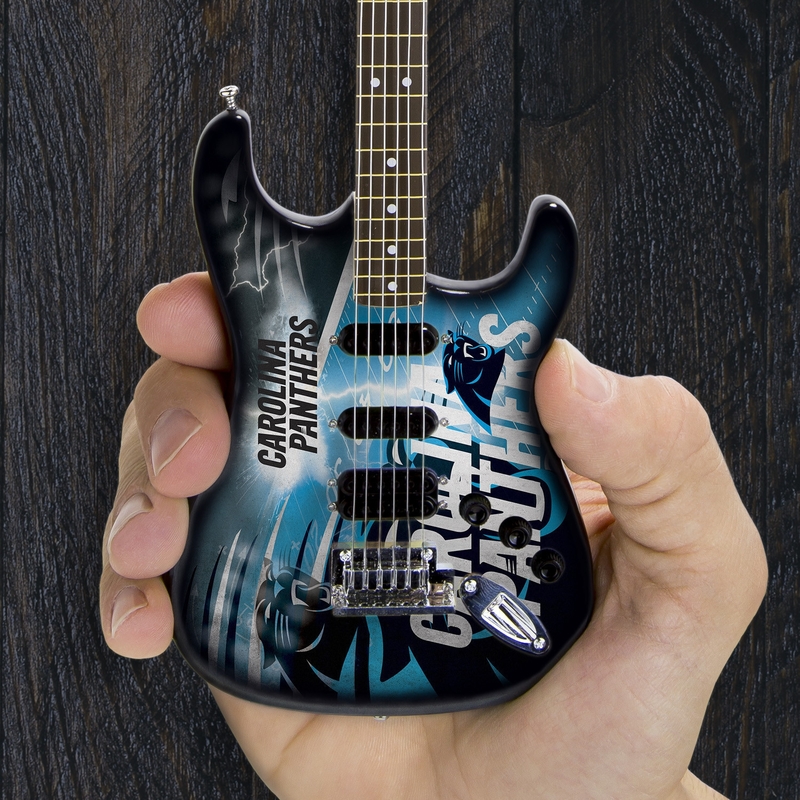 Accessorize your office, man cave, mantle, desk and much more with the Carolina Panthers Mini NorthEnder Guitar by Woodrow. 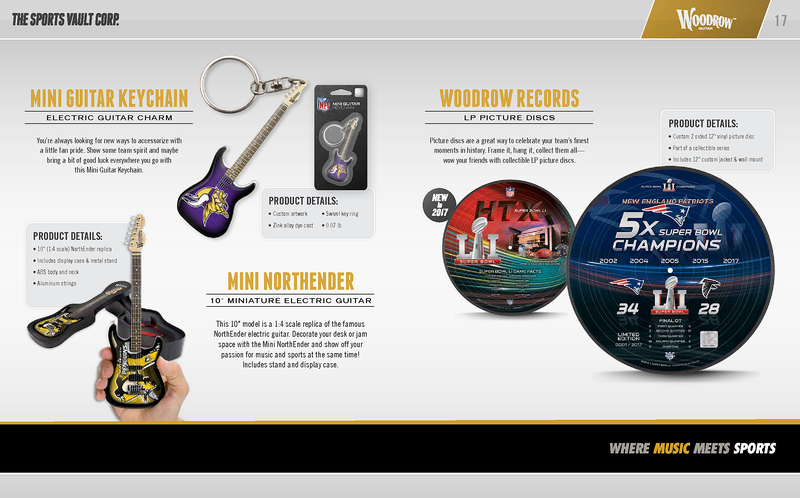 As an Nfl officially-licensed collector's item, this mini guitar is the exact replica of the original NorthEnder Guitar manufactured by Woodrow Guitars. 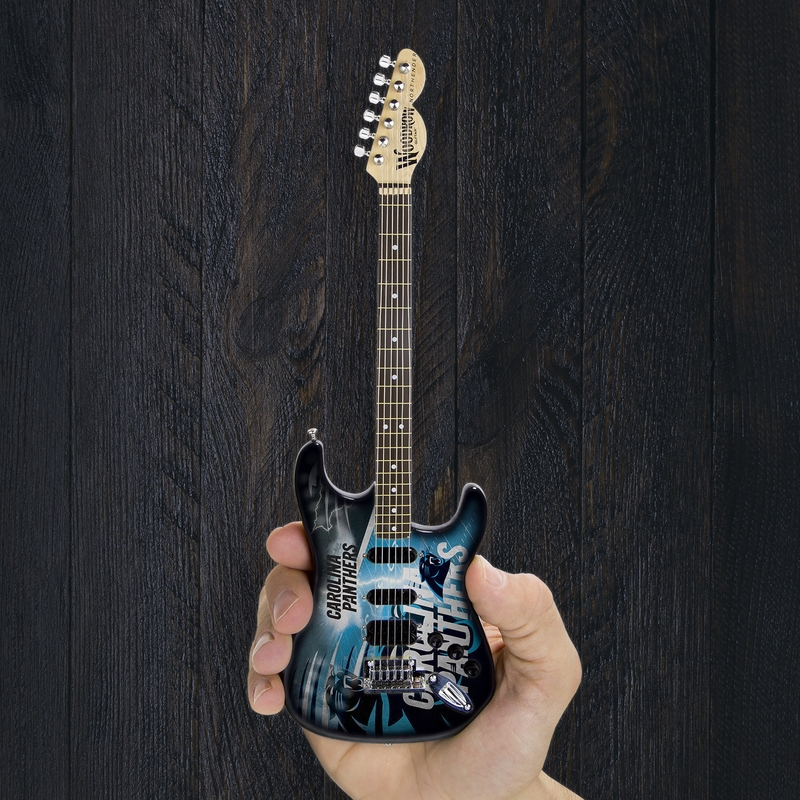 The Carolina Panthers Mini NorthEnder Guitar proudly stands 10" tall. Every corner of this true-to-life replica brilliantly displays team Carolina Panthers artwork and graphic designs. This item is the perfect gift for those who love music and the Panthers. 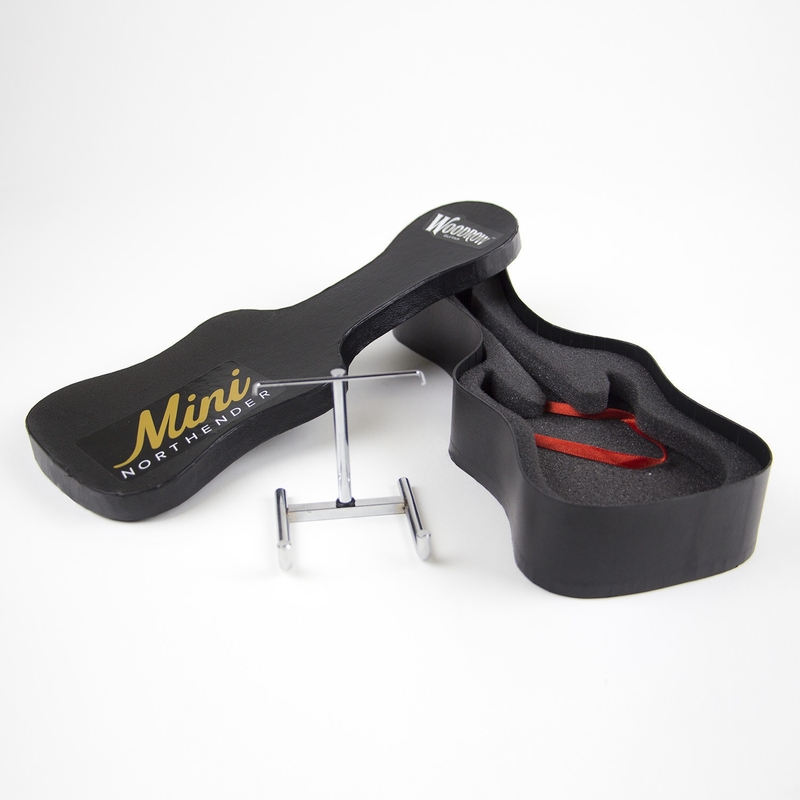 All Mini NorthEnder Guitars include a display stand and collector's box. 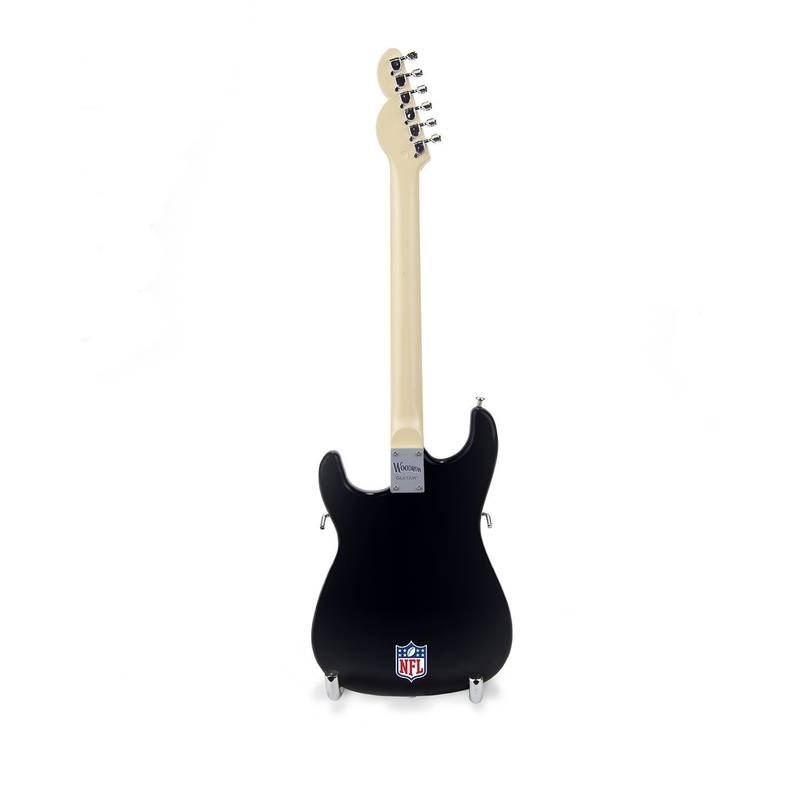 Elevate your enthusiasm for the Panthers to a new level and order the Nfl officially-licensed Carolina Panthers Mini NorthEnder Guitar by Woodrow today.